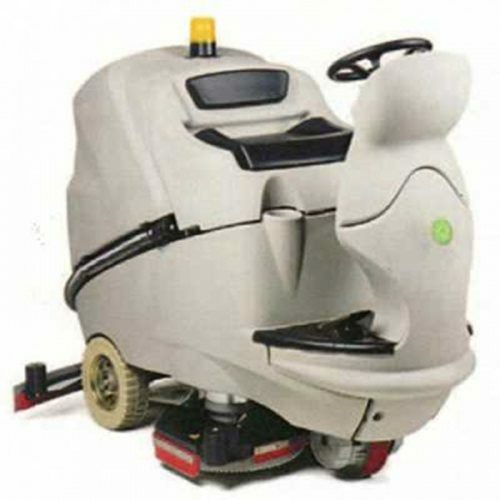 The IPC Gansow CT 160BT 85 Refurbished Ride On Battery Scrubber Dryer is among the machines manufactured by IPC . The CT 160 stands out for its extraordinary performance combined with cutting-edge technology. 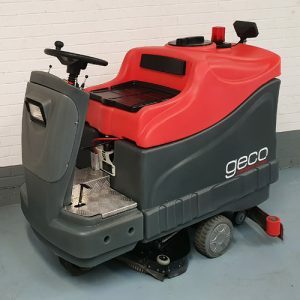 The IPC Gansow CT 160BT 85 Refurbished Ride On Battery Scrubber Dryer has been designed for large area cleaning, with a 145 litre solution tank, 170 litre collection tank and a 85cm scrubbing width. 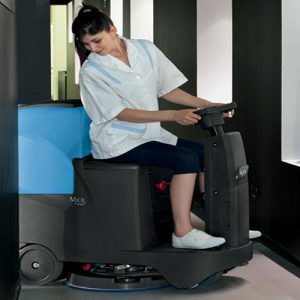 The IPC Gansow CT160 features a slim line control panel to give great all round visibility for the user, the CT160 is able to clean in confined spaces and around equipment without causing damage. 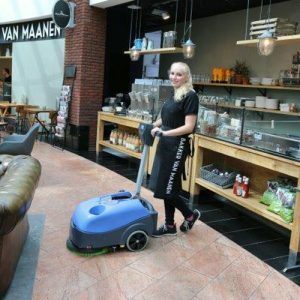 The CT160 has an easy to use control panel with 3 pre-set clean settings, thus allowing the user to clean a variety of surfaces at the touch of a button. Solution delivery varies according to speed, the quantity can also be regulated from the control panel. 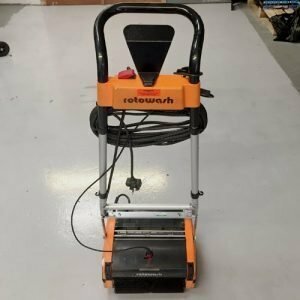 The brush deck features a self-levelling system to ensure maximum brush contact and to adapt to uneven flooring. 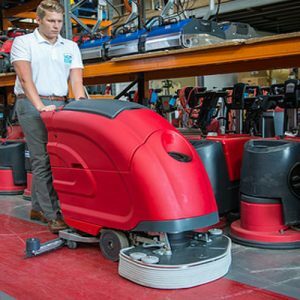 The benefit of the self-levelling system is a reduced load on the brush motors thus giving increased battery life and reducing the strain on the motors. 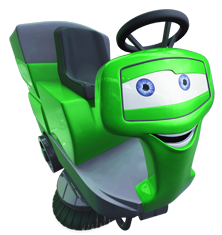 Brushes and squeegee blades are changed without the use of tools allowing the user to maintain the wear parts. 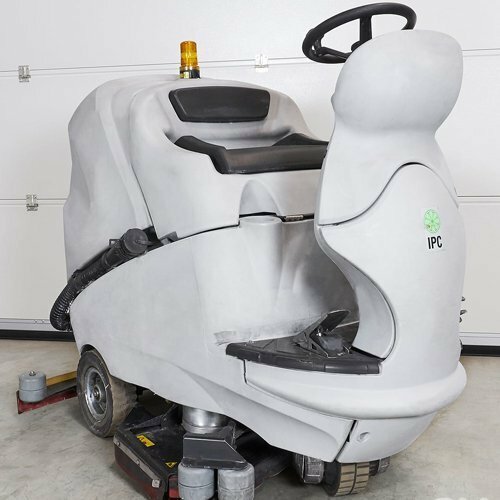 IPC Gansow CT 160BT 85 Refurbished Ride On Battery Scrubber Dryer Over view. Huge solution tank capacity in minimum external space. Extensive running time (large battery compartment). Solution control with automatic stop (Solenoid valve). Brush control with automatic “delayed” stop. 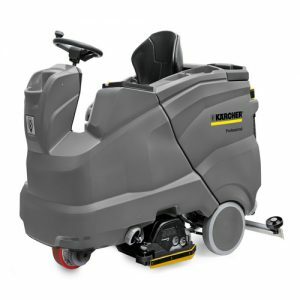 Patented SLS (self Leveling System) automatic brush pressure control. Uniform washing guaranteed by the washing head which adapts instantly to even the most irregular surfaces.